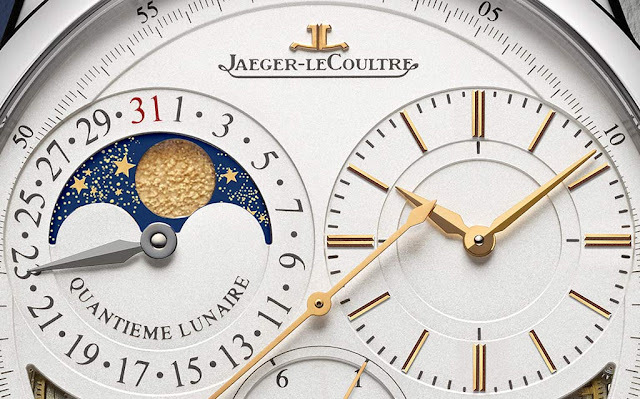 Among the novelties presented by Jaeger-LeCoultre at SIHH 2016, the Duometre Quantieme Lunaire comes in a new white gold version which maintains the 40.5 mm x 13.5 mm size. 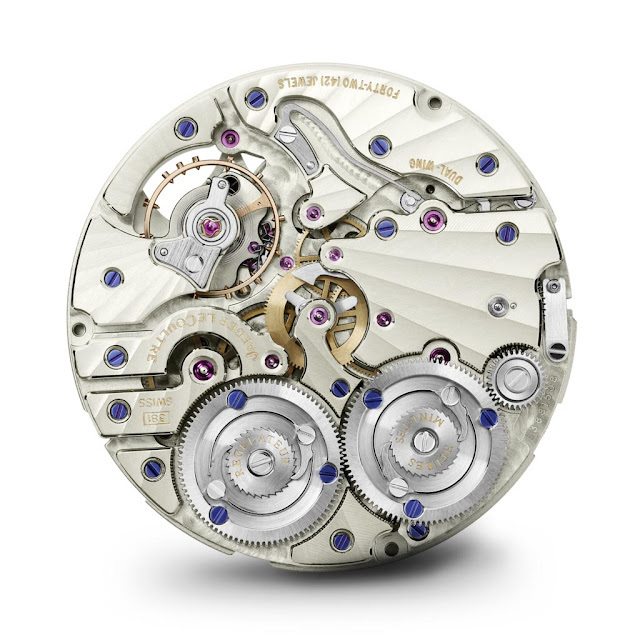 Case metal apart, the main change is represented by a revised dial which reveals parts of the precious hand-wound movement, the Jaeger-LeCoultre Calibre 381. In particular, two simple and discreet apertures, on each side of the jumping seconds counter positioned at 6 o’clock, allow the owner to admire gear trains, bridges, and red jewels. The distinctive characteristic of the Duometre models is the movement comprised of two independent mechanisms, one dedicated to the functions, and the other to the operating of the watch’s regulating organ. Each of them with its own source of energy for maximum accuracy. 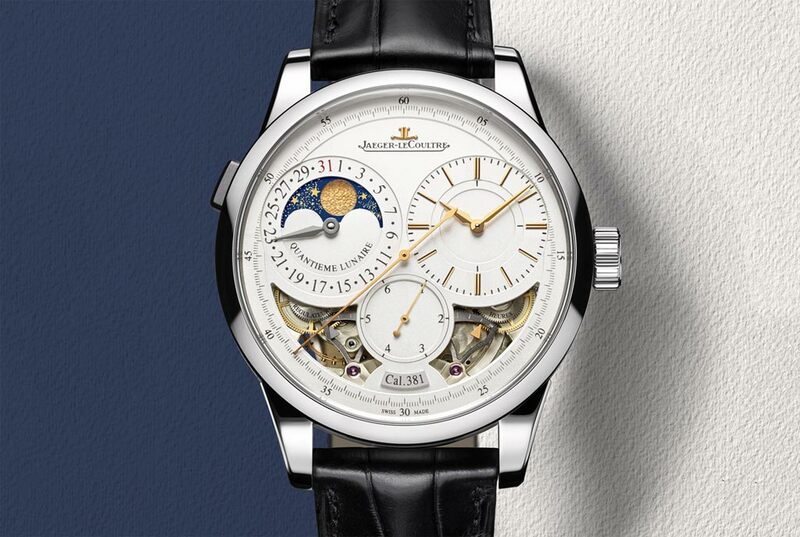 In the Duometre Quantieme Lunaire, the lunar calendar function is displayed on the top left side of the silvered opaline dial. A newly designed hand-hammered moon phase indicator glides across a sky sprinkled with stars. Symmetrically positioned to the right, the hours counter is enriched by applied hour markers which nicely complement the Alpha hands. Beating at 21,600 vibrations per hour, the Calibre 381 is composed of 374 parts and two independent barrels, each providing a 50-hour power reserve. 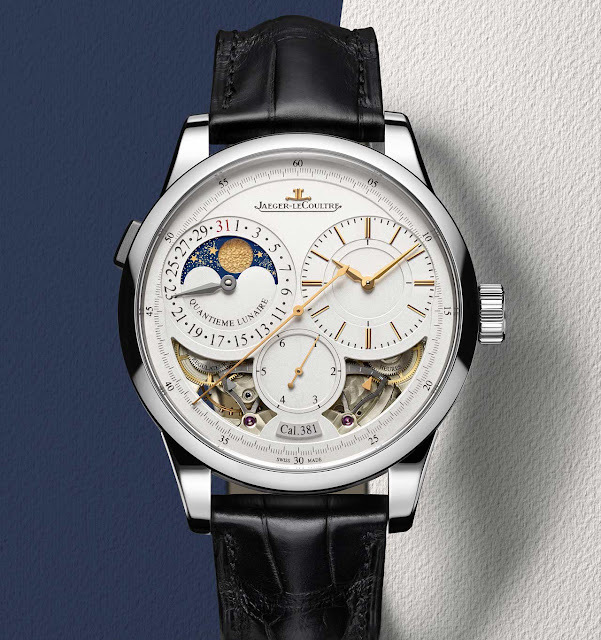 Jaeger-LeCoultre Duometre Quantieme Lunaire in White Gold. Among the novelties presented by Jaeger-LeCoultre at SIHH 2016, the Duometre Quantieme Lunaire comes in a new white gold version. 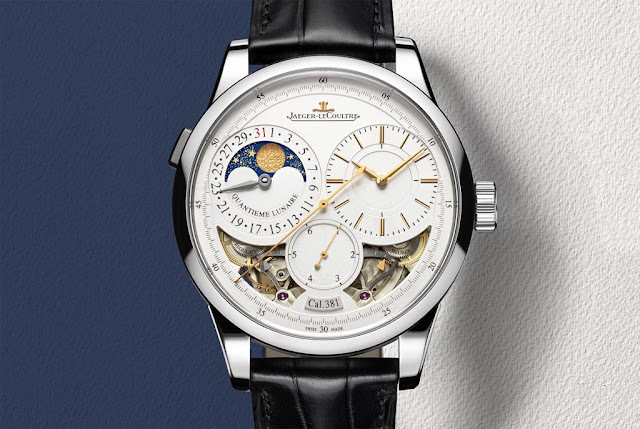 The new Jaeger-LeCoultre Jaeger-LeCoultre Duometre Quantieme Lunai in white gold (ref. 6043420) has a price of Euro 43,700 / US$ 43,000.